Gearing Up For Father's Day! Gearing Up For Father’s Day! Although I’ve only seen Todd in a parent role for a little over a year now, I already know that he’s probably the better parent for sure (well, at least way more calm and fun than I am!). He’s patient, always gentle, makes everything into a game, and gets Lola to laugh the hardest of anybody else by far. He’s, simply put, a really great dad. 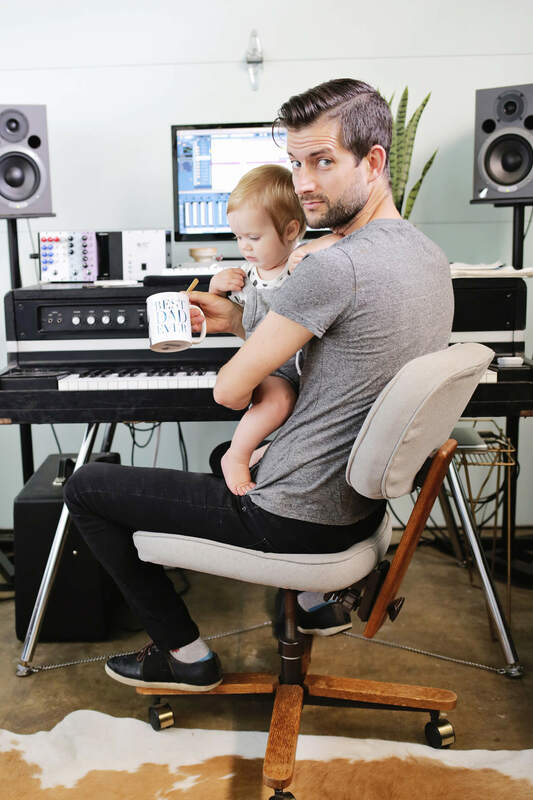 Right now Lola spends her weekdays in Daddy Daycare while I work full time from home but since he also works out of a studio attached to our home (we converted the detached one car garage into his studio) he gets to be close to us when he’s working on music during naps or after dinner. Since Father’s Day is coming up, Lola and I decided to surprise Todd a little early with some personalized gifts that I like to call the “Classic Dad” package—a mug and a mousepad from Snapfish! 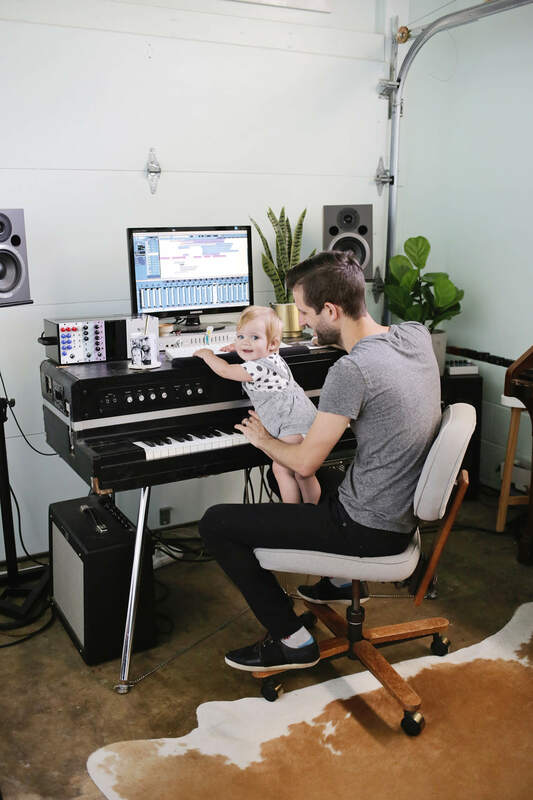 While his musical ventures and producing do involve a lot of music playing and writing, I also know how much time is spent in front of his computer listening to and remixing songs for hours on end. So, in that vein, he’s definitely going to need some inspiration while he’s out there and what better than sweet little Lola’s face to spur him on to greatness, right? 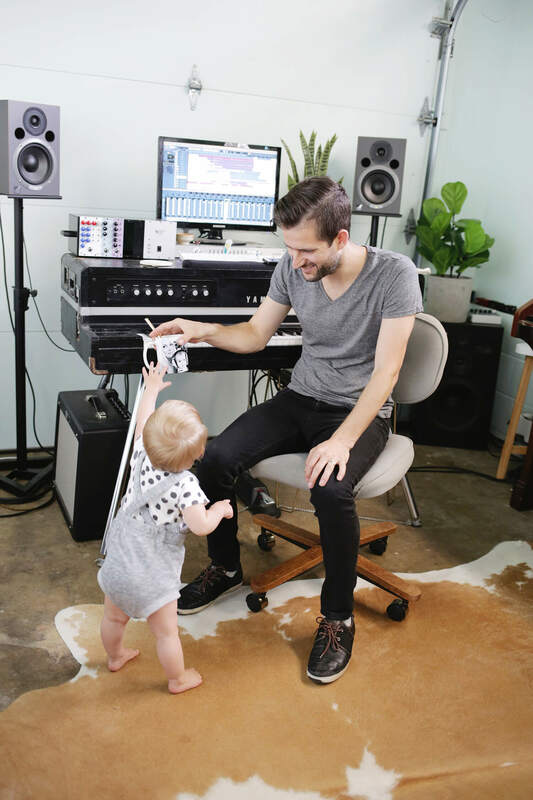 We love that picture with her and her baby headphones at Austin City Limits Festival back in the fall when we visited Todd on tour—it’s was a little crazy having a 5 month old at an outdoor, super hot, music festival, but she was a champ for sure. 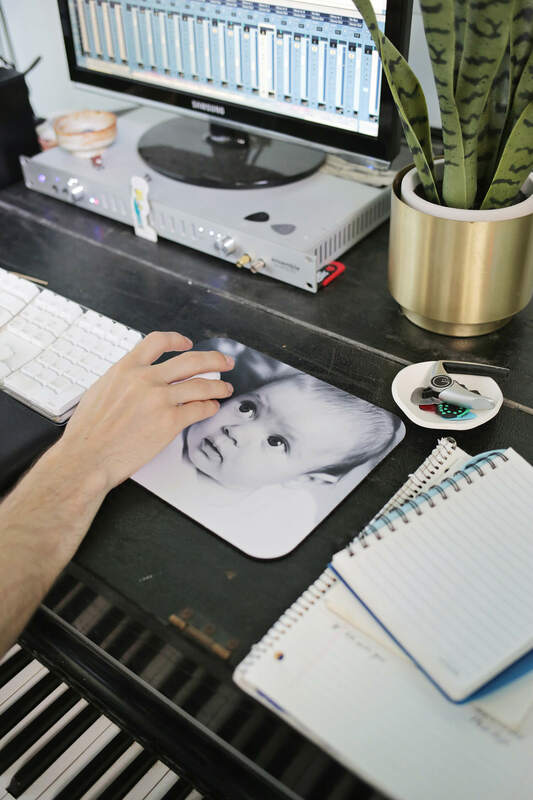 And that photo on the mousepad is one that our friend Elsie took and it’s one of our favorite photos of her ever—those eyes!! To help you find your best Father’s Day gift, I’ve teamed up with Snapfish to offer you guys a 40% code that you can use sitewide through 6/30/18! Just used the code GIFT4DAD to create your own thoughtful gift. They even have playing cards you can add a photo to—I almost did that one since Todd is a big poker player. Anyways, I’m sure you have photos that will melt the heart of a certain Dad you know, so create something personalized and fun to show them how much you care! *This post was sponsored by Snapfish and all opinions are my own—thanks for helping to support this blog and our family! Categories: Sponsored | May 18, 2018 by thebandwifeblog. Omg I can’t with that mousepad. So adorable! Aw, how cute!!! So cool that you guys both work from home! 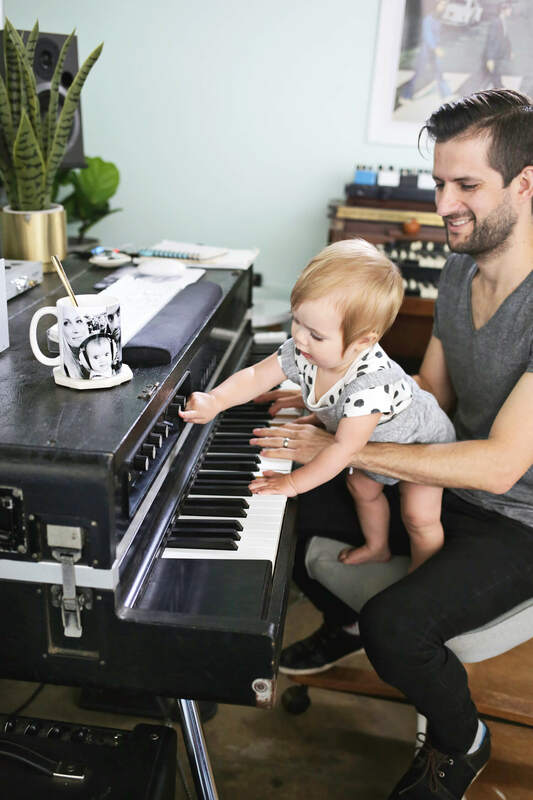 One of my favorite pictures is the one of Todd helping Lola do a handstand on her little piano! ❤️ I also love those pics when Todd is imitating Lola’s expression and what he’s looking at!